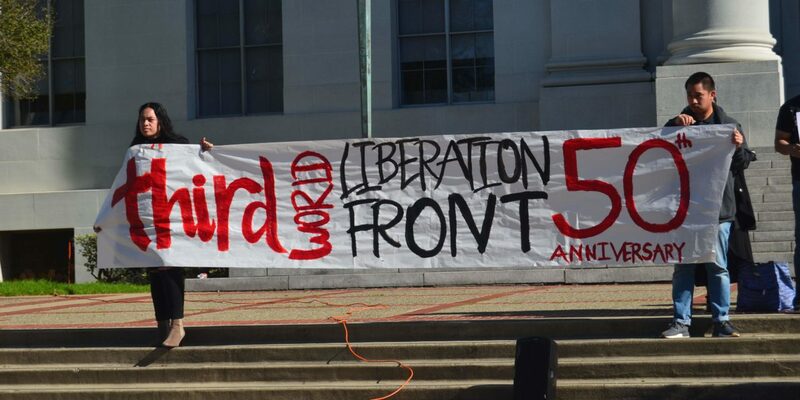 On January 22, 2019 – the first day of instruction this Spring semester – students, staff, faculty, alumni, and community came together to celebrate the 50th anniversary of the Third World Liberation Front (TWLF) student strikes at UC Berkeley. 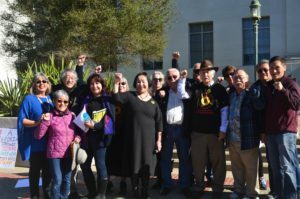 On the same day in 1969, the Afro-American Students Union (AASU), Asian American Political Alliance (AAPA), Mexican-American Students Confederation (MASC), and Native American Students Union (NASU) came together to initiate their strike under the coalition banner of the TWLF. 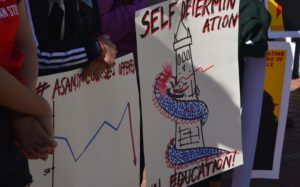 Guided by the principles of solidarity and self-determination, and rooted in a community-based approach to education, they read their demands for a “Third World College controlled by Third World peoples”. Fifty years later, many of these same leaders came together to read their demands again, this time with the perspectives and experiences from a lifetime of activism. 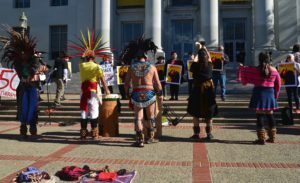 This was not as an act of revolutionary nostalgia, but instead a renewed call to action in a time where the vision, struggle and demands for a Third World College remain deeply relevant and unfulfilled. 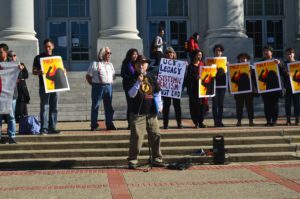 Veterans of the strike shared stories of how the TWLF connected the community to the campus in concrete ways – transforming curricula and classrooms as well as the surrounding Bay Area communities of color. winning important resources for our campus communities such as the Multicultural Community Center, the Center for Race and Gender and a mural that will be unveiled this year. 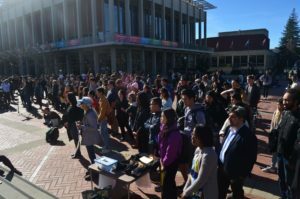 The rally culminated with an array of current students, faculty and staff sharing their respective struggles to continue transforming and interconnecting the university with contemporary local and global social movements. The spirit of TWLF continues to resonate in 2019 – asking us to consider what intergenerational and cross-cultural liberation might look like today. UC Berkeley featured stories about the 5oth anniversary strike here and here.